Residents in Baghdad celebrated their first curfew-free night in more than 10 years amid a heavy security presence. 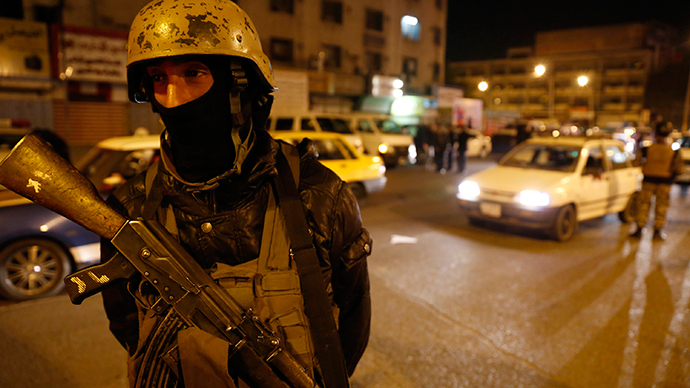 Just hours before, 40 people were killed in a series of blasts in the Iraqi capital. Tahrir Square in Baghdad’s center was bustling with life after midnight on Sunday, with people playing music and waving Iraqi flags. And all over the city the streets were busy with flag flying from cars and motorcycles. The curfew from midnight till 5 am had been in place since 2004, as a measure to tackle the sectarian violence that escalated after the 2003 US-led invasion. Reaction to the lifting of the curfew has been mixed. A shopper in the central Karrada district, interviewed by Reuters, believes it shows “that the country is somewhat safe." A shop owner in the Shourja district disagrees, saying, “you can see that things aren’t as good as before. Bombings are coming back." On Saturday, several hours before the curfew was lifted, Baghdad was rocked by a series of bombings that killed at least 40 people and left more than 80 injured. A suicide bomber in the New Baghdad area of the city carried out the first and deadliest attack. Police confirmed that 22 people were killed and at least 45 injured in that attack. "The restaurant was full of young people, children and women when the suicide bomber blew himself up," witness Mohamed Saeed told AP. "Many got killed." The second happened soon after near a popular market in central Baghdad. At least 11 people were killed, according to police. Two more bomb blasts killed four civilians and three soldiers. The Islamic State (IS, formerly ISIS/ISIL) later claimed responsibility for the first and deadliest of the attacks, saying Shiites were the target, according to the SITE Intelligence Group, a US-based terrorism monitor. The extremist group has a third of Iraq under its control. Nearly 17,000 civilians were killed in Iraq in 2014, Iraq Body Count project estimated. The figure is double the death toll for 2013. The group tracking casualties in Iraq links the rise in the number of deaths primarily to the IS activities. Although the government announced a lower death toll of 15,000, it still described 2014 as the deadliest year since 2007. Iraq Body Count said Baghdad was the deadliest Iraqi city for civilians, as 4,767 people died there in 2014. However, this didn’t prevent Prime Minister Haider al-Abadi from lifting the night curfew and reopening some of the blocked-off streets to traffic. Abadi’s office said the move was taken in order to return to “normal life as much as possible, despite the existence of a state of war." He hasn’t yet commented on the Saturday attacks, but Interior Ministry spokesman Brigadier General Saad Maan said he didn’t believe the blasts were linked to the lifted curfew.